Focused on selling residences at world-class resort and residential community locations. Our capabilities span the full range of residential brokerage sales, marketing, and contracts services. We strive to collaborate throughout the sales process and create lasting relationships. Our current offering includes Maravilla Los Cabos, Montage Residences Los Cabos, Montage Residences Deer Valley, and Montage Residences Beverly Hills. Maravilla Los Cabos is a private residential community situated between San Jose del Cabo and Cabo San Lucas, directly on the sparkling waters of the Sea of Cortez. Our offering includes 36 custom homesites and a range of villa and townhome product, with amenities that include a three-level infinity pool, full-service spa, and unique access to two of only a handful of swimmable beaches in Cabo. Maravilla Los Cabos is intended to be an authentic, resort community that reflects the charming natural beauty of the surrounding area and the rich cultural heritage of Baja California Sur, Mexico. The project is part of the larger 1,400-acre Twin Dolphin master-planned property being developed by our parent company, Ohana Real Estate Investors. Montage Los Cabos is a five-star resort and residences on the famed Golden Corridor between Cabo San Lucas and San Jose del Cabo. The resort sits on the shores of Santa Maria Bay on the Sea of Cortez and will feature 122 guestrooms and 52 two and three-bedroom residences. Amenities will include a multi-level 20,000 square-foot pool, full-service Spa Montage, and direct access to Santa Maria Beach. 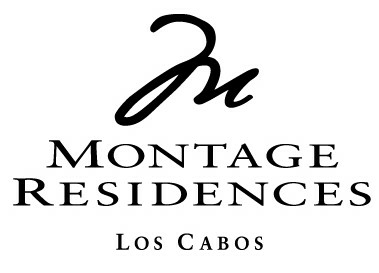 Montage Los Cabos is part of the larger 1,400-acre Twin Dolphin master-planned property being developed by our parent company, Ohana Real Estate Investors. Montage Deer Valley provides the perfect haven for mountain getaways. 36 miles from Salt Lake City International Airport, Montage Deer Valley’s 154 guestrooms and 81 residences offer spacious accommodations and breathtaking views. The resort features a 35,000 square-foot spa and a range of culinary experiences, from the signature mountain grill specialties of Apex to the modern gastro-pub classics of Daly’s Pub & Rec, which has its very own bowling alley. Montage Beverly Hills’ coveted location in the heart of the Golden Triangle offers an unmatched, classic ambiance. Montage Beverly Hills is comprised of 201 guestrooms and 20 residences, with distinctive amenities such as the 20,000-square-foot Spa Montage and a rooftop pool with panoramic views and private cabanas. Since selling out the residences in 2014, our team has focused on resales within the building. Our parent company, Ohana Real Estate Investors, is a hospitality-focused investment, development, and management group. Their portfolio currently includes Montage Beverly Hills, Montage Deer Valley, Montage Los Cabos, and Maravilla Los Cabos, a private residential community, as well as undeveloped properties in Kauai, HI and Healdsburg, CA.